Untangling the lies in headlines about lice: SUPER Lice! Epidemic this year! Rising number of cases seen in your (city/state)! Enough is enough! Some lice removal companies irradiate the many pervasive myths of flying SUPER bugs that love clean and/or dirty hair and are putting those and other falsified headlines out in the media on a daily basis. If you’re reading these headlines and thinking lice has turned into an indestructible creature living in your child’s hair – that’s what they want. They are trying to cause panic among unsuspecting families. The headlines make you nervous, so you start checking your child’s hair and think you see suspicious things and panic. The next step you take is calling the service putting the “scare” info out there in the media. And of course, their best interest is to find lice in your child’s hair, whether it’s there or not… and ‘ka-ching’ for them. Here’s the low-down from an honest and clinical perspective. There is no different strain of lice known as “SUPER” lice. ALL lice are becoming increasingly resistant to the typical over the counter (OTC) medication, as well as prescription treatments. And I, for one, think that’s a good thing. Here’s why: I’m hopeful that it will stop people from using harmful chemicals and pesticides on their children. Manual removal is the most effective and safest way to treat for head lice. There are no numbers to back up the claims of “epidemic” or “rising number of cases seen.” True, there is usually an increase when school first begins, however, that happens every year. This is nothing new. So, disregard the scary headlines, keep calm and call a reputable lice removal service if you suspect head lice. A professional service can quickly identify head lice or let you know if it’s simply dandruff. 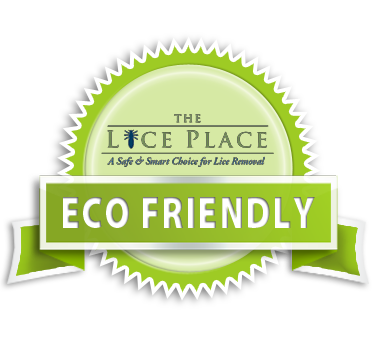 As an RN-owned lice removal service, The Lice Place can teach you how to do a thorough head check plus provide you with the most up-to-date information on lice and the safe treatment options available. Scare tactics are not our game; we’ll give you the TRUE facts of lice!